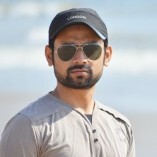 My name is Muneeb Qadar and I work as a senior digital marketing specialist for Branex UAE. A web can make your brand stand out in the crowd and that’s why you must take the web design of your product/service very seriously. Simplicity is the... ultimate sophistication as we offer something of a notable value to our customers in the form of a website that represents your business. Let us discover your true identity the form of a website design by contacting our customer support.